Description: Meet BUBBLES! Bubbles is a gorgeous mommy to 3 beautiful kittens (Blackie, Scruffy & Smoke). She was found wandering a neighborhood, going door to door looking for someone to take her in out of the cold. She most certainly was someone's pet because she's super sweet & friendly, but they never came looking for her. Dolly's Legacy was contacted & asked to take this precious family of 4 into our rescue. 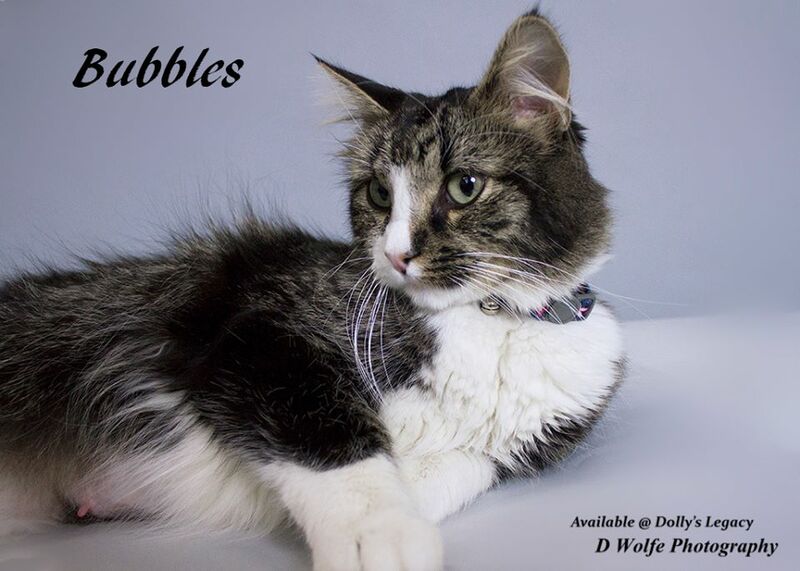 Bubbles is loving, sweet, seeks attention by rubbing up against you (& weaving through your legs!). She is much prettier than her pictures show & much smaller too, her photos simply don't do her justice. She is a petite, young mommy at 1-2 yrs old. 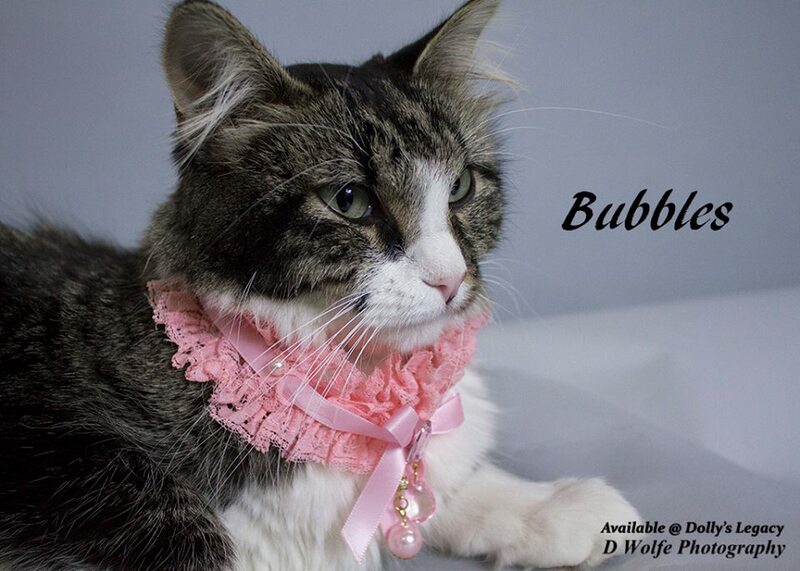 Bubbles adores her babies, but she is ready to be off 'mommy duty' and start a new chapter in her life where she will be a spoiled princess! 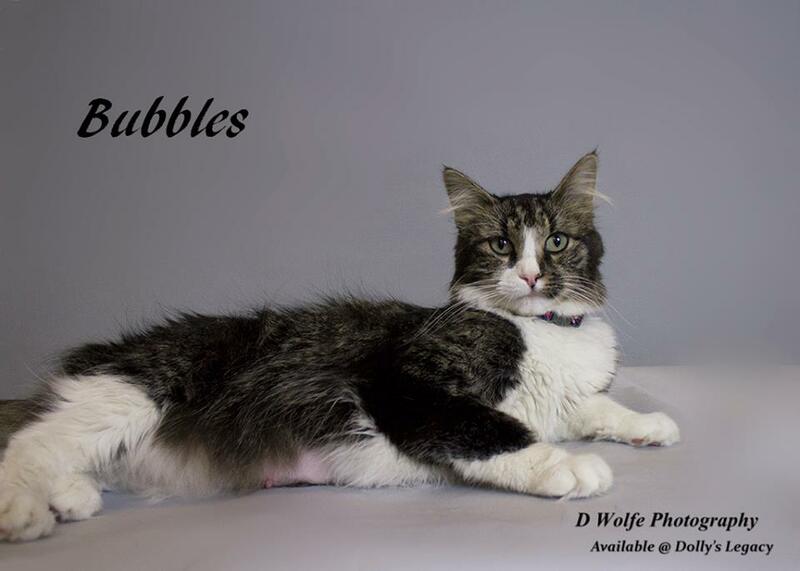 Bubbles is spayed, vaccinated, microchipped, tested negative for FIV/FeLV & has been dewormed. Adoption fee is $80 . For adoption guidelines and to submit an application, please go to this link: http://dollyslegacyanimalrescue.org/adopt/ We are a foster-home based rescue group and do not have a facility. The first step is to have you complete our online adoption application. All adoption appointments are scheduled after your application has been approved. We are 100% volunteers & will generally reply within 3 days of application submission. PLEASE be sure to answer all questions completely or it will delay processing, be sure to include vet phone#. If you have any questions please email DollysLegacy@aol.com. Please 'LIKE' our facebook page to learn more about our rescue, see more pictures & get updates on all our adoptable pets!